It seems that this band released a few individual tracks back in 2015 under the name Kelvin — “Lights Are Low,” “Give It All,” and “Strobelights” — but when it came time for a full-length album, they changed the name to I Am K. Certainly there are a number of other artists recording as Kelvin, so they probably wanted to distinguish themselves, as well as avoiding both confusion and legal action. 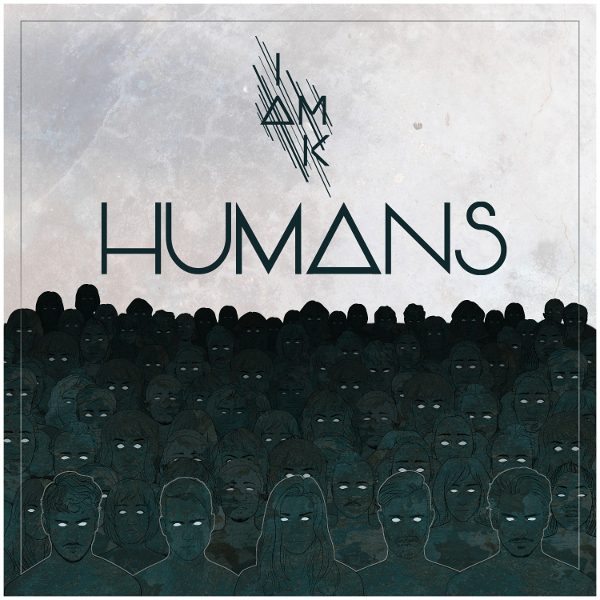 In any case, some of the Kelvin videos are on Youtube as I Am K, and Apollon has put out the album, called Humans. It would be futile to try to argue that their music isn’t pop, though it’s a much more original and intriguing take on pop music than the vast majority of artists I’ve heard on the American charts. The most prominent feature is Oda Ulvøy’s lovely voice, which has a distinctive quality that’s quite engaging. She is not a belter, though she has good range, and is strong enough to carry the climaxes of these songs. The music ranges from quiet passages with subtle electronics and breathy singing to more energetic passages with electric guitars and full drum kit. There’s a lot of creativity in the arrangements, with delicate keyboard parts and nicely contrasting guitars. The melodies are great, with a real sense of drama and development, and standard structures are not always adhered to. The production is beautiful, with both clarity and depth, avoiding the tendency of so many bands to overdo the reverb. “Moving In,” “Stars,” and “I Come Alive” are particularly effective, a great antidote to dreary news and assembly-line pop music, uplifting and melodic without being sappy, with enough of a rock edge to avoid shallow prettiness. Listeners in search of good pop outside the confines of big-name producers and established acts would do well to check out this band.